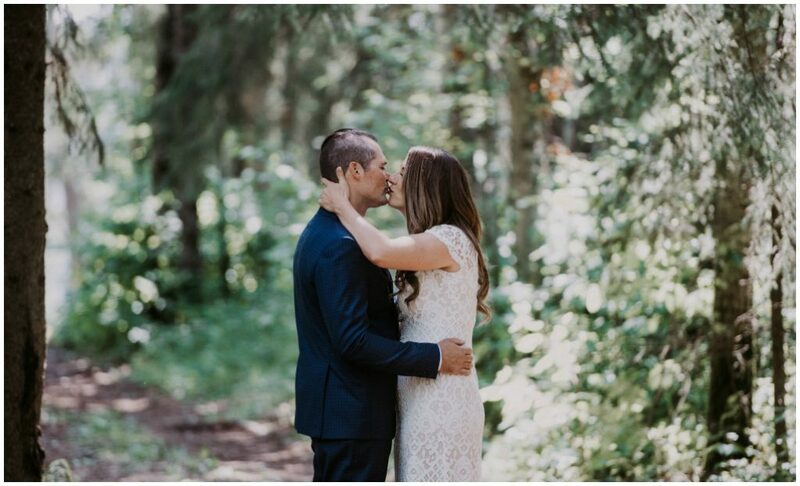 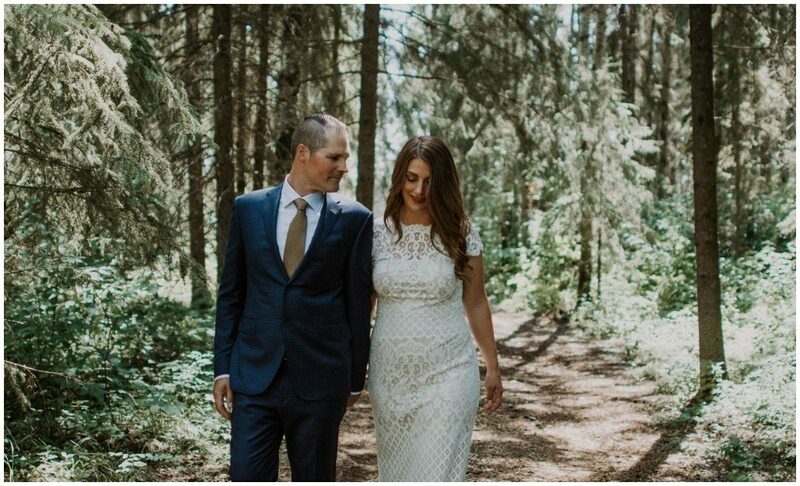 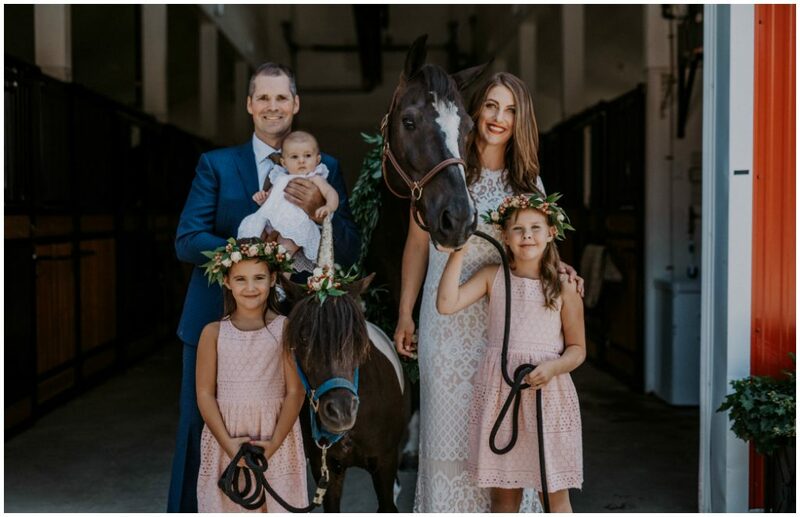 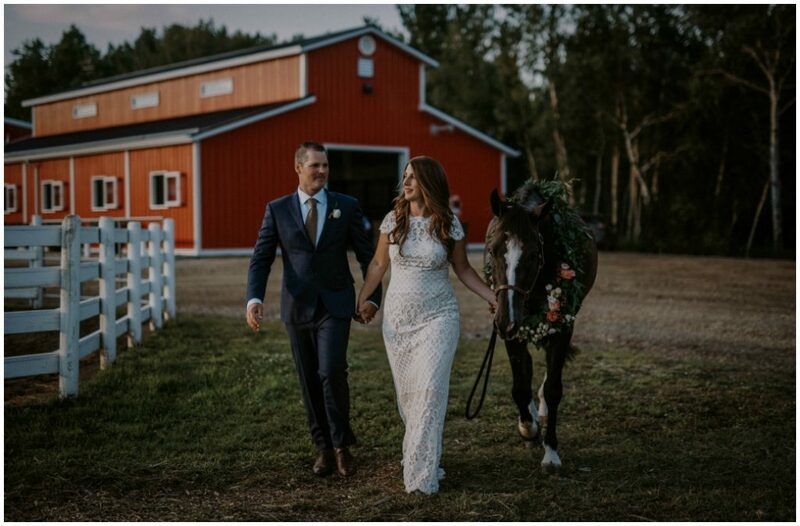 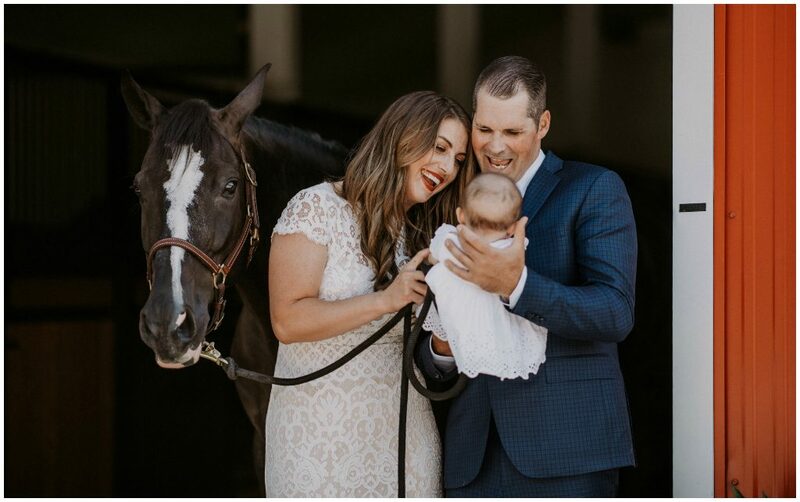 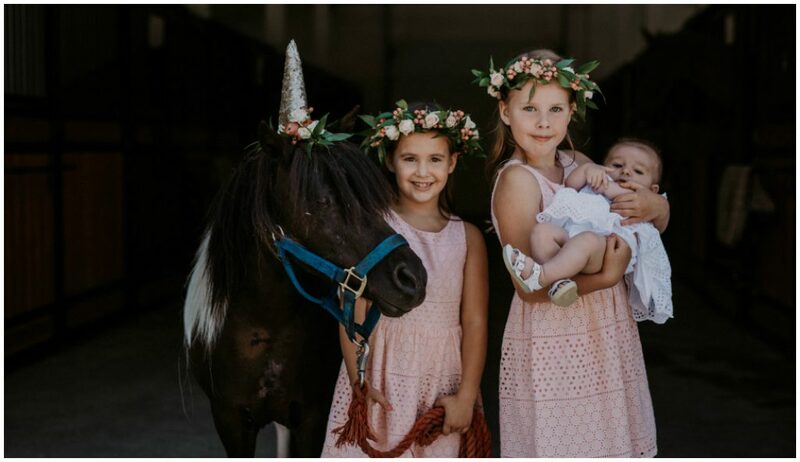 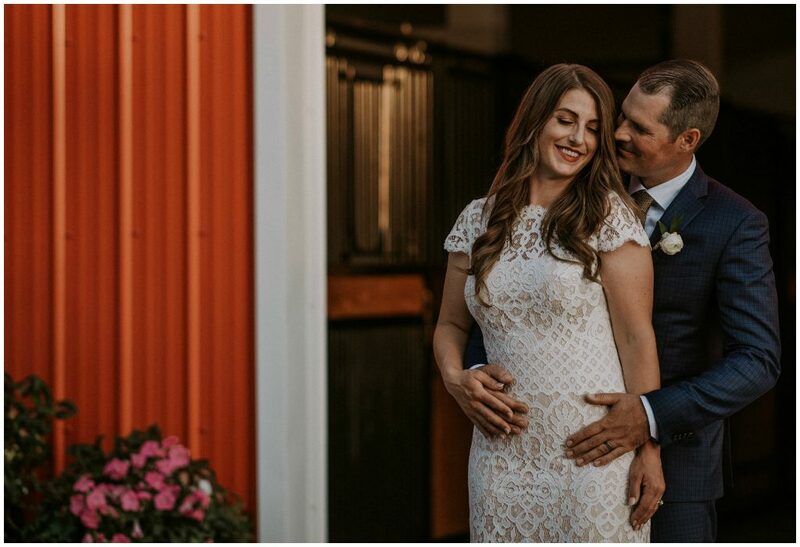 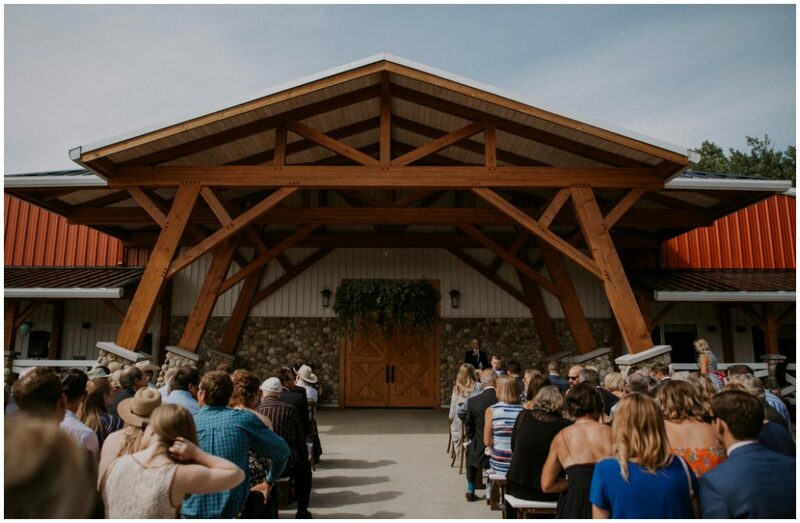 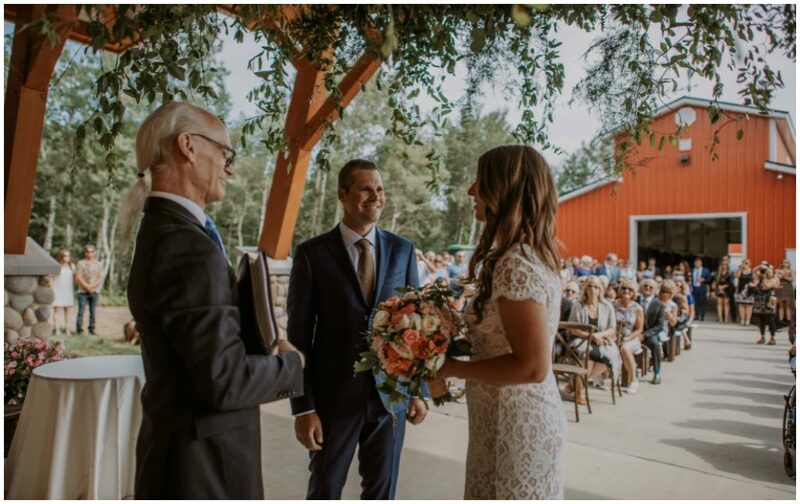 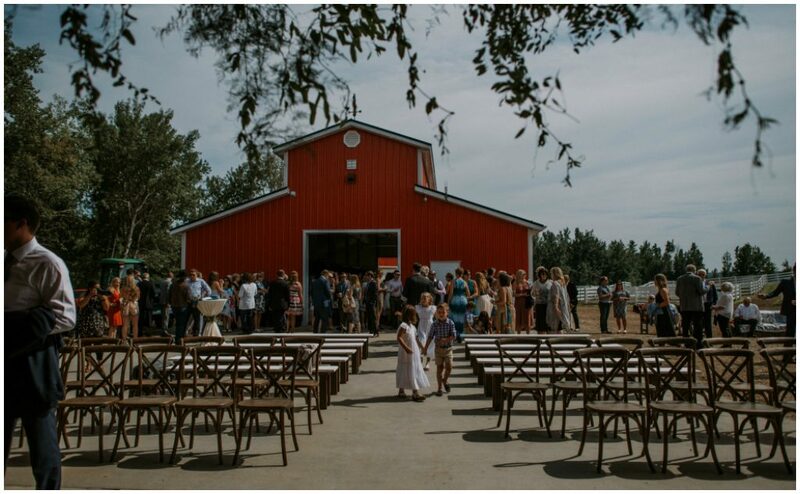 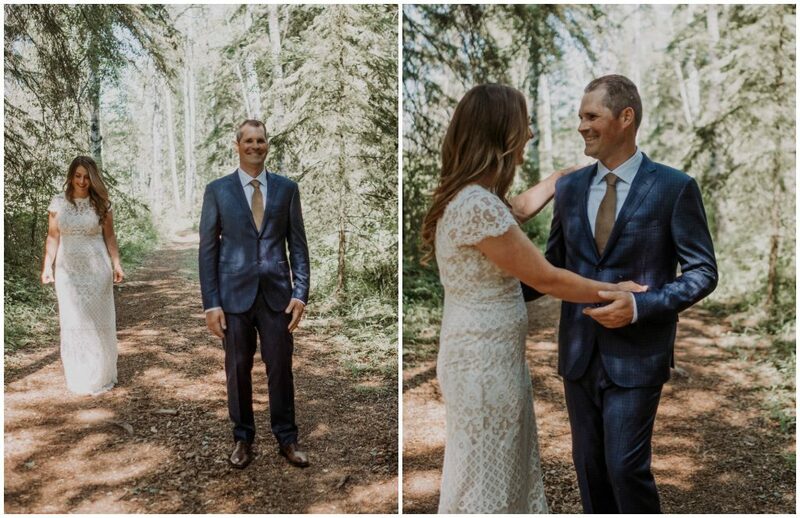 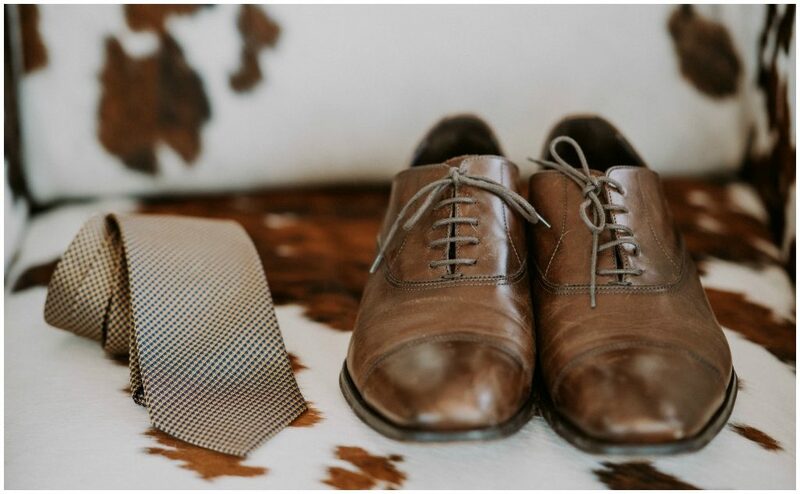 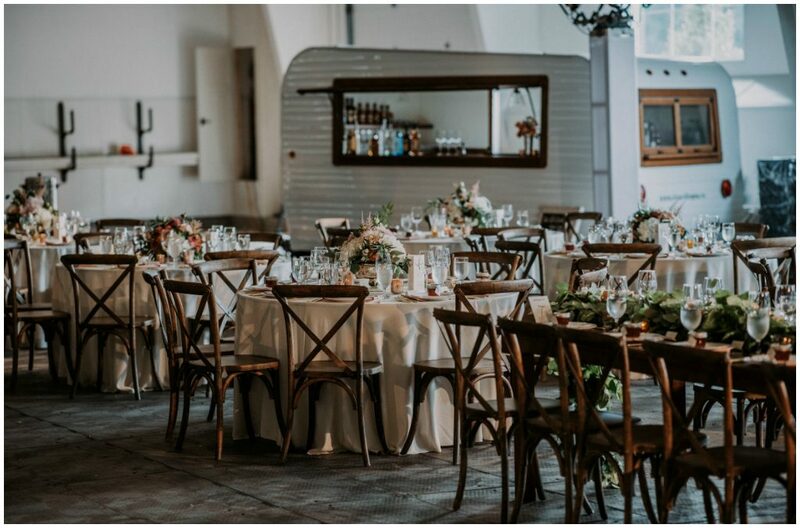 Ellicia + Bryce’s summer wedding was held on Valleyfield Farm, where they not only live, but also operate their horse breeding and training ranch. 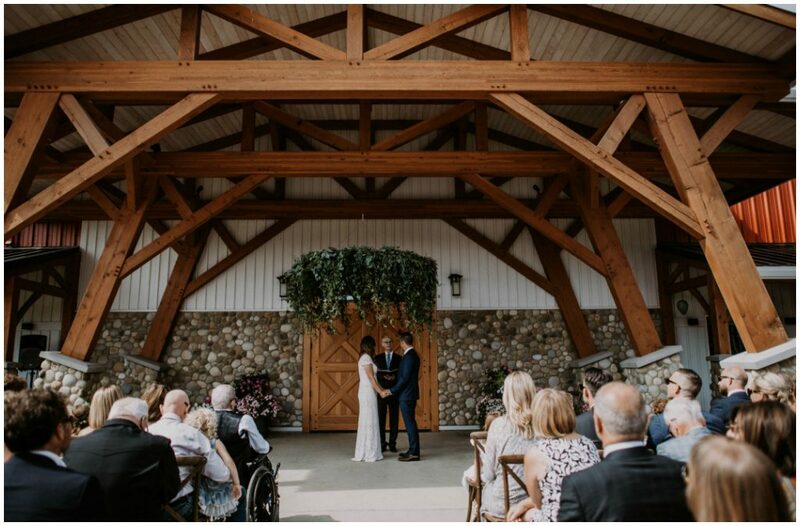 It’s a spectacular property and we were thrilled to have the opportunity to transform it into a unique wedding venue. 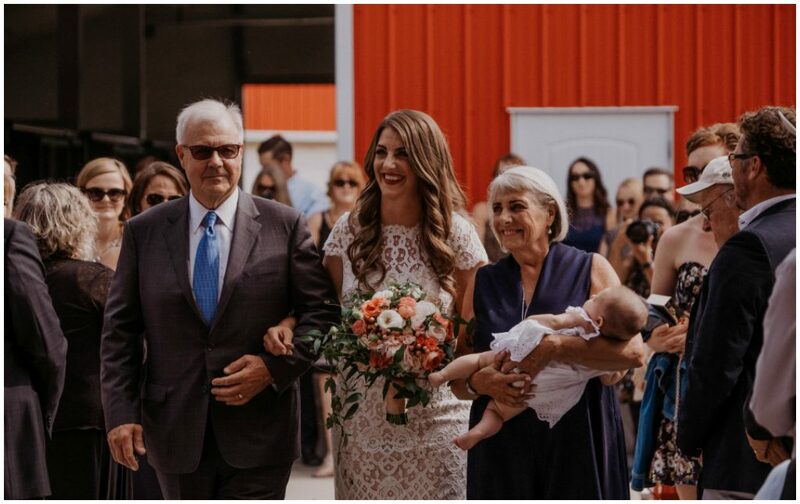 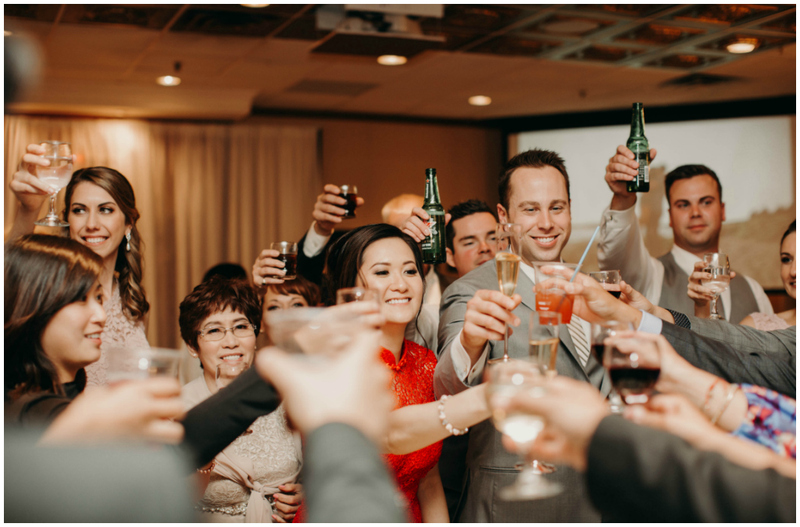 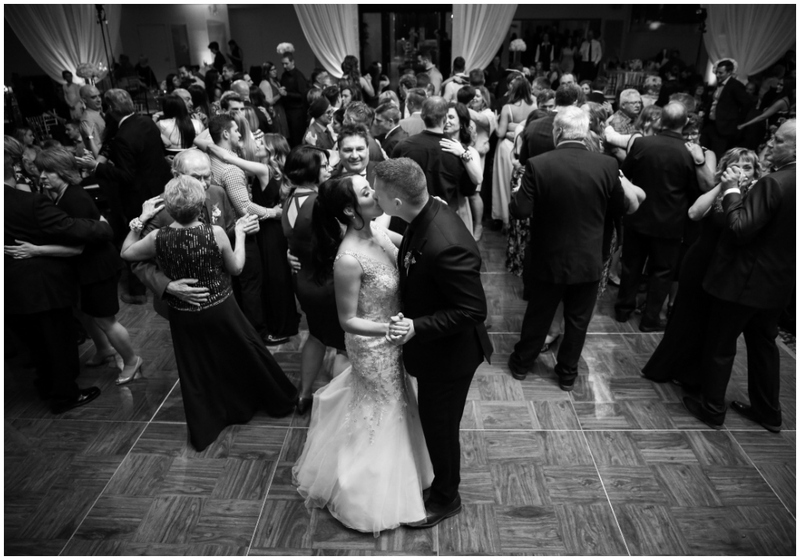 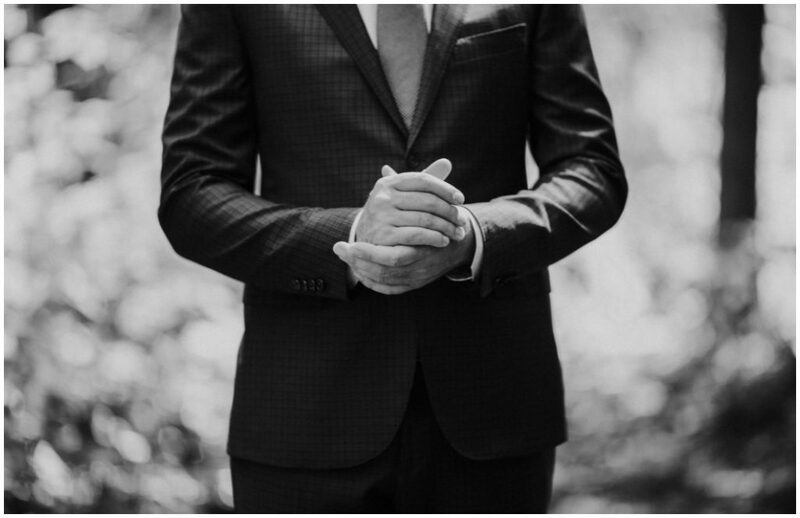 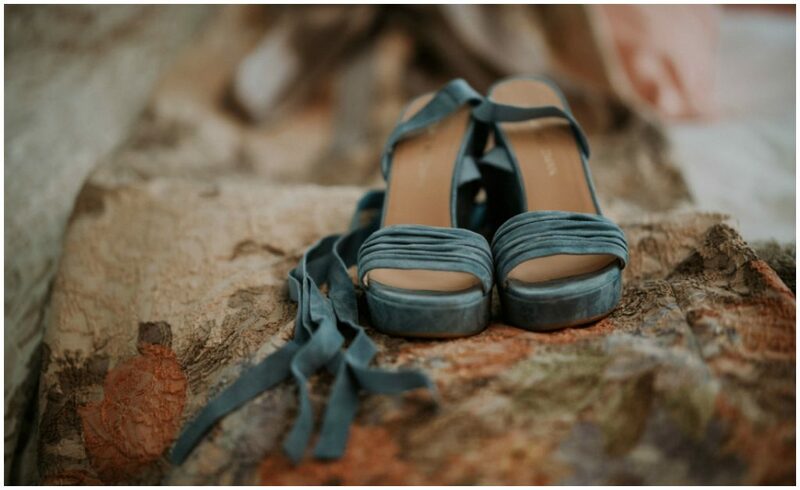 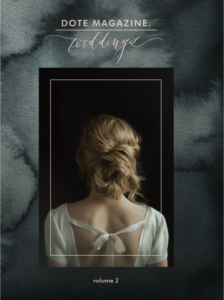 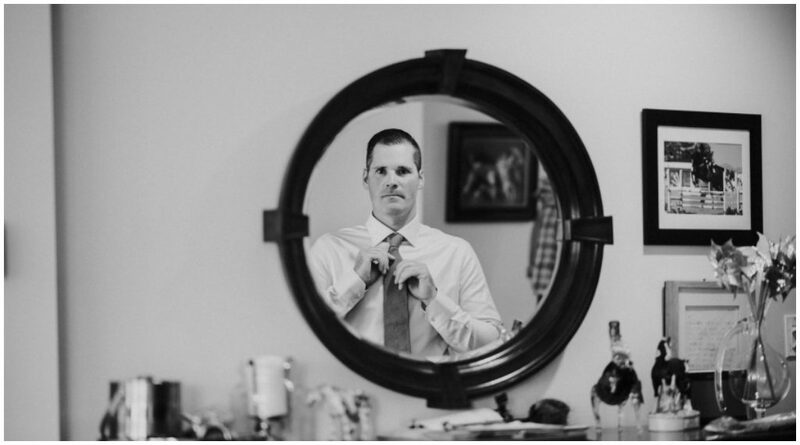 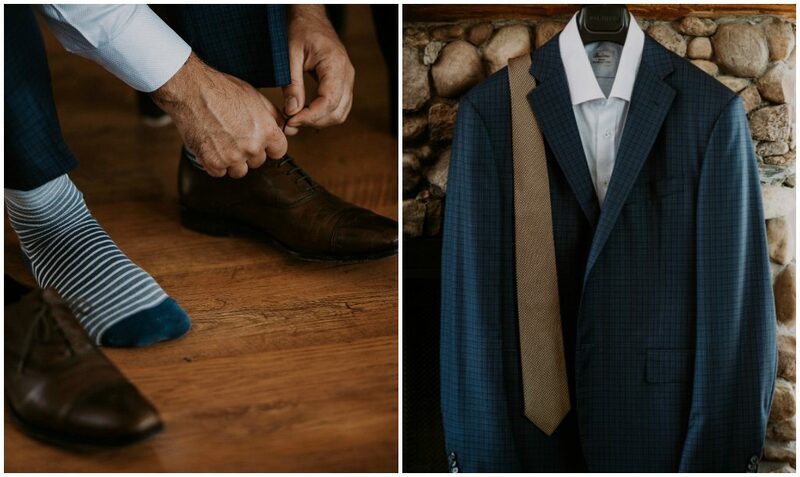 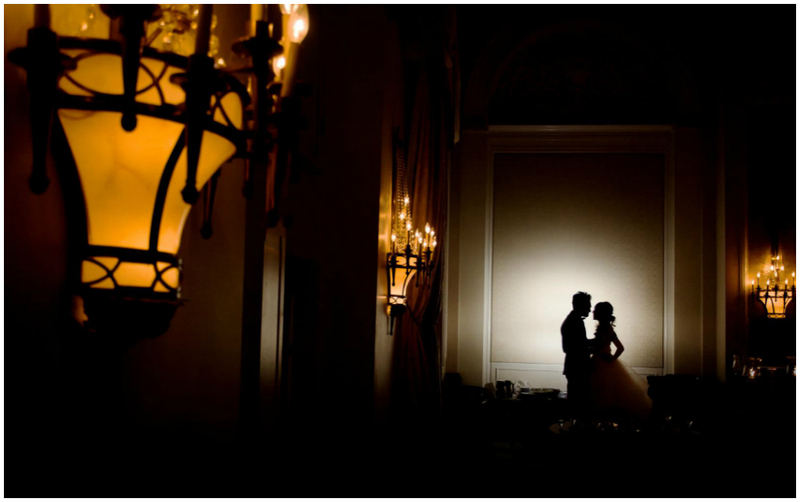 We collaborated with the amazing Richard Ruppell – a family friend of the couple – to bring this wedding experience to life. 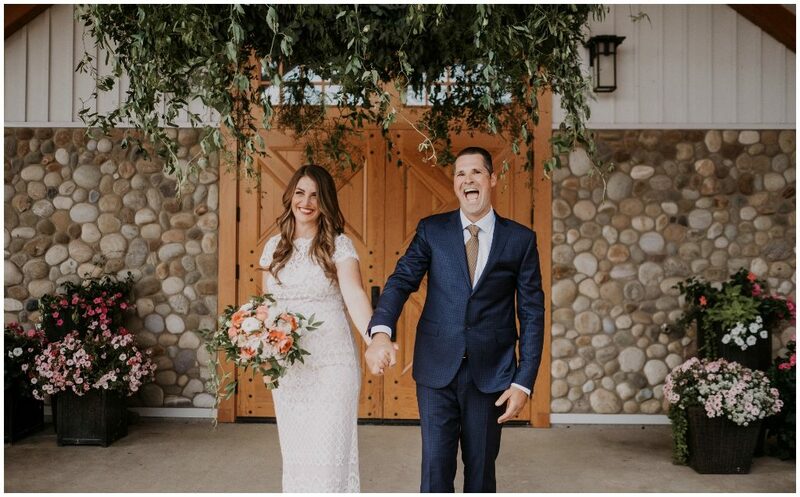 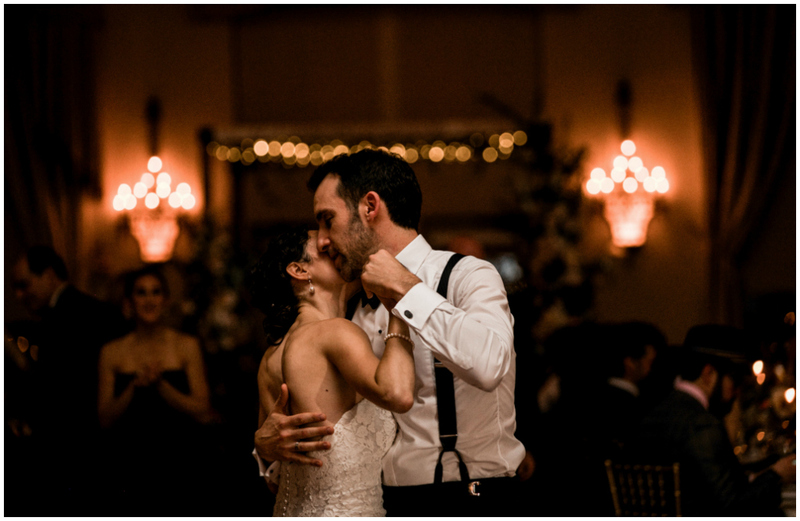 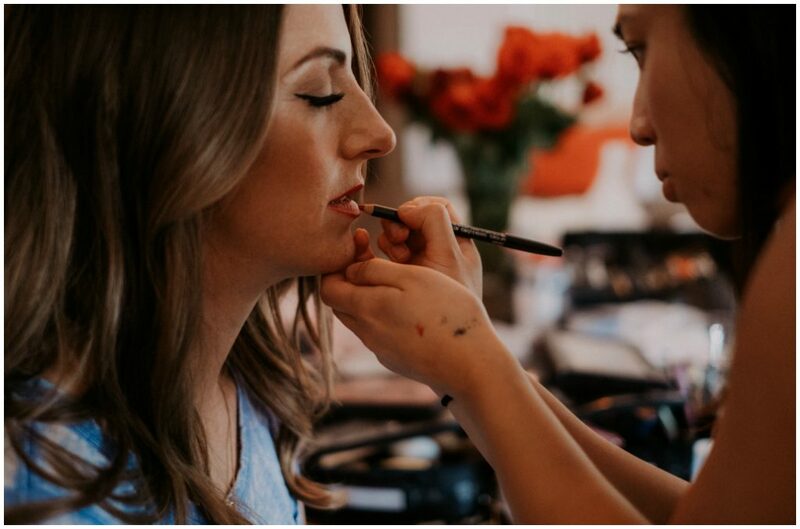 Even with a guest list of over 240, Ellicia + Bryce wanted the event to feel intimate and comfortable – like a relaxed garden party. 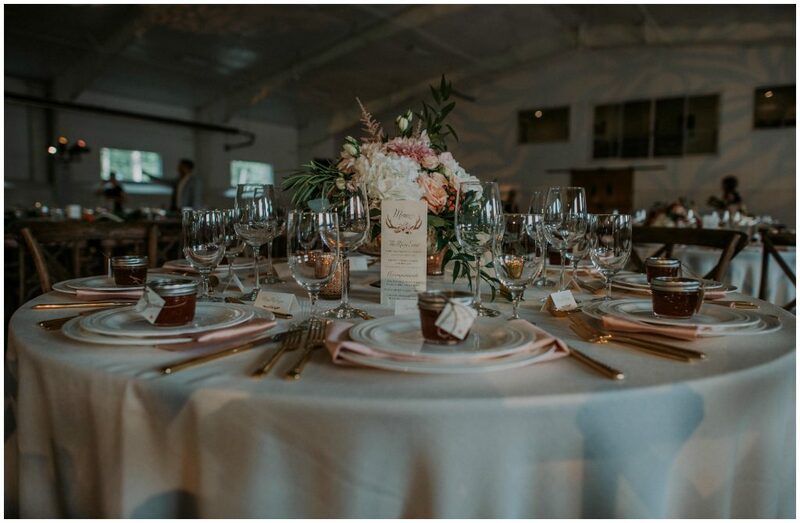 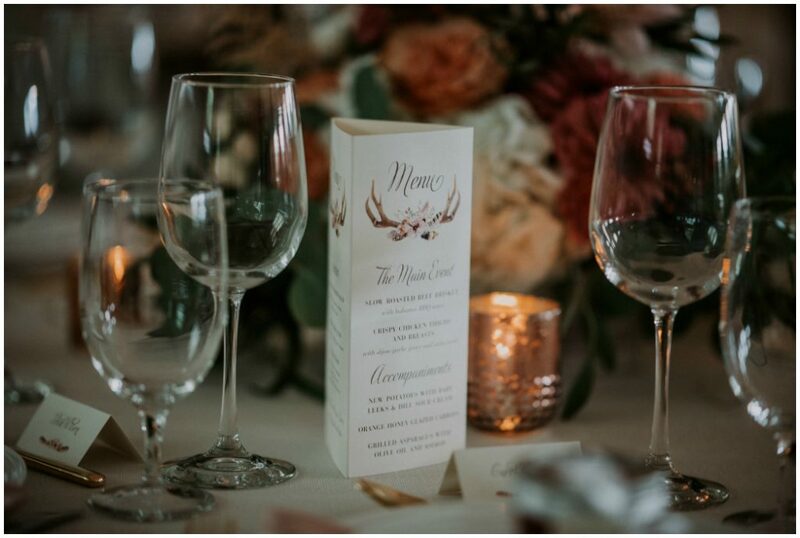 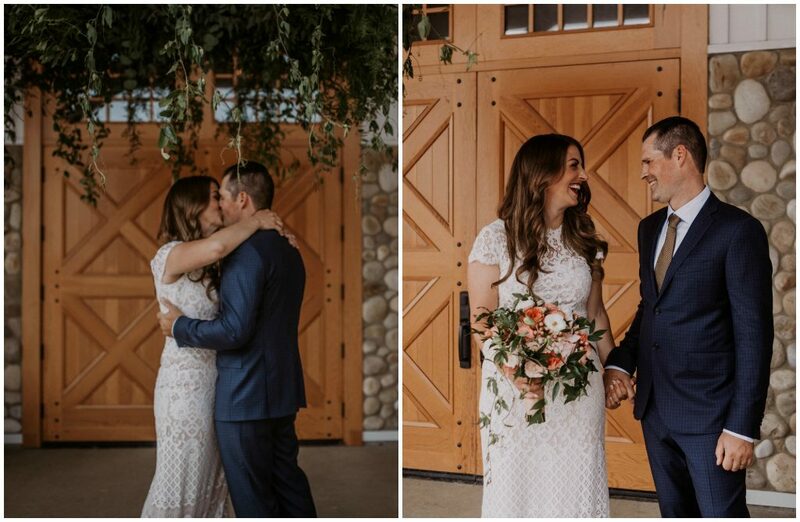 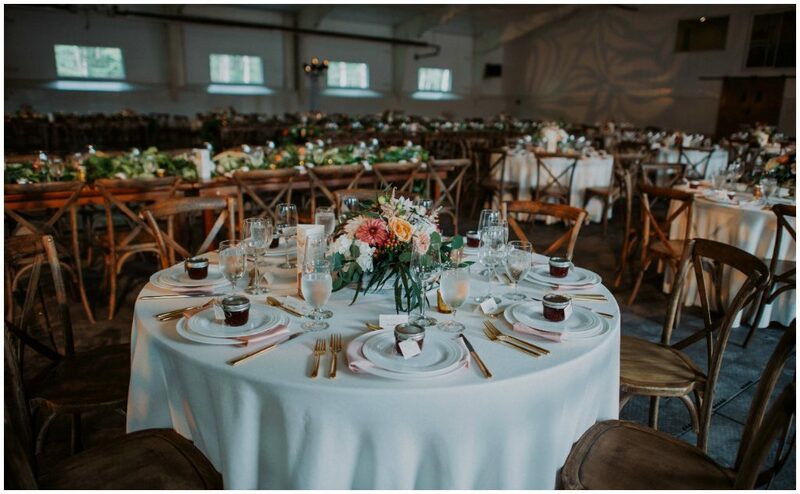 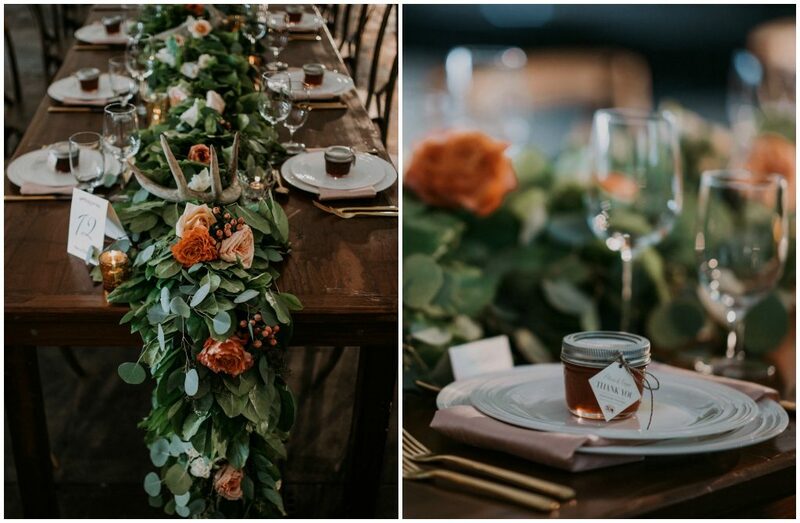 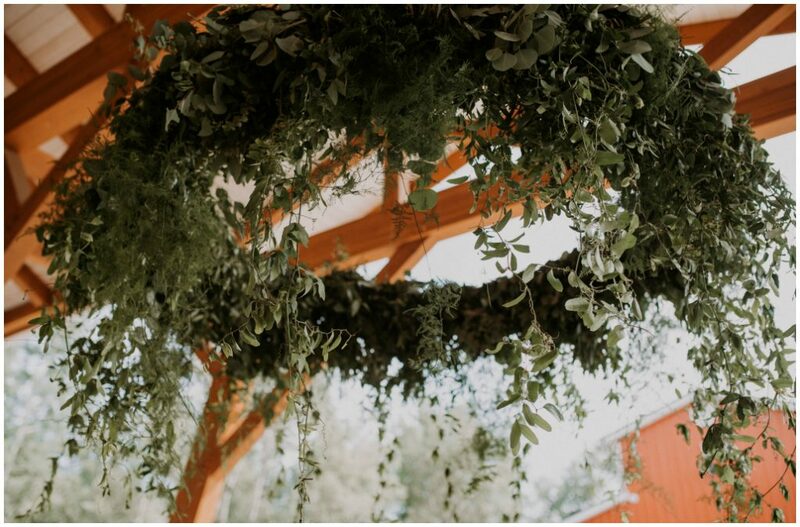 We combined organic and boho-inspired elements to bring their vision to life, including lots of lush greenery, antlers and pops of peach and coral flowers. 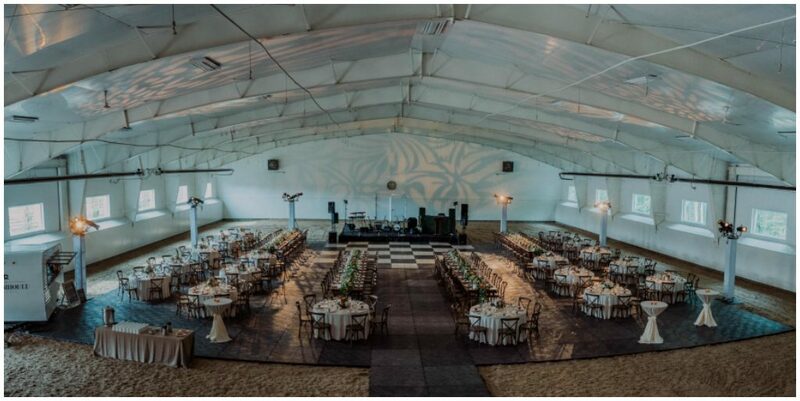 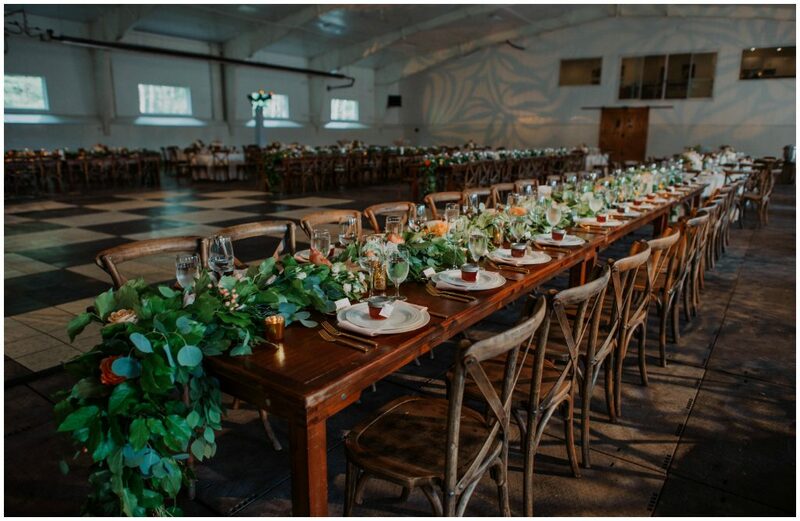 We transformed the huge horse jumping arena into a reception venue, and this was no small task! 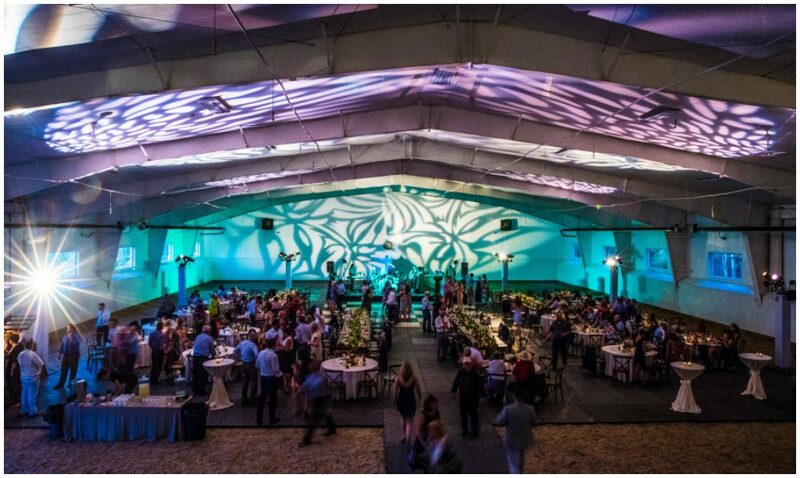 We had to bring everything in – from a generator to lighting, right down to the flooring to cover the sandy ground. 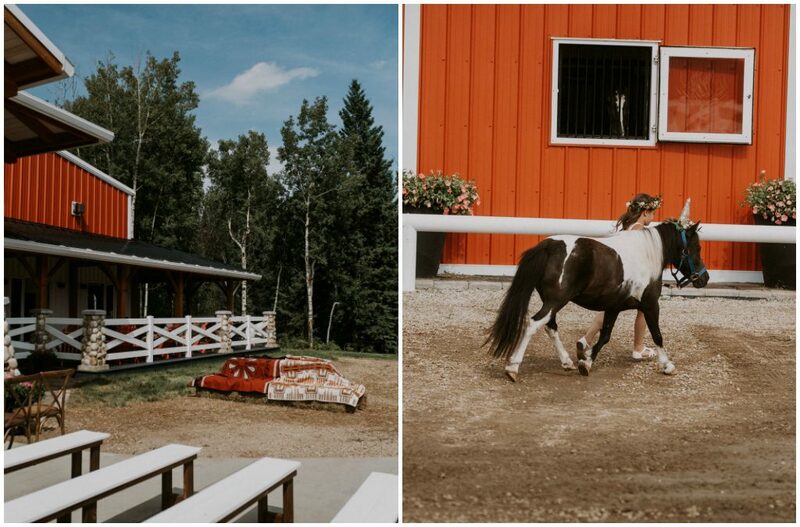 As the property is about 45 min southwest of Edmonton, guests were given the option of shuttle service or valet parking at the farm. 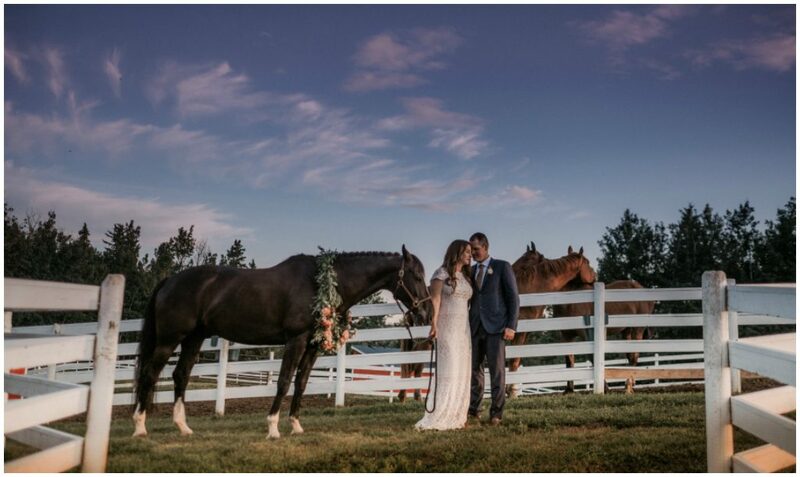 A late afternoon ceremony flowed into an outdoor cocktail party, followed by a delicious family-style catered meal by Culina. 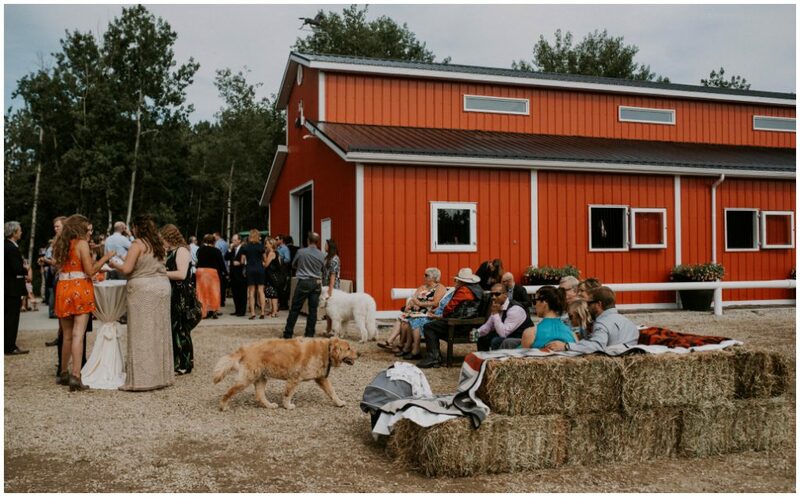 It was a beautiful evening and guests took advantage of the outdoor space which featured hay bale lounges, bonfires and s’mores. 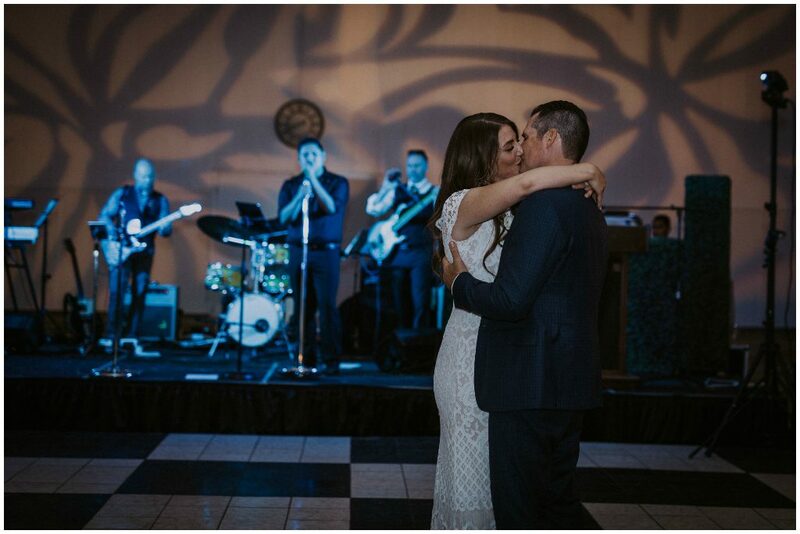 A band and DJ alternated sets, making for a killer party! 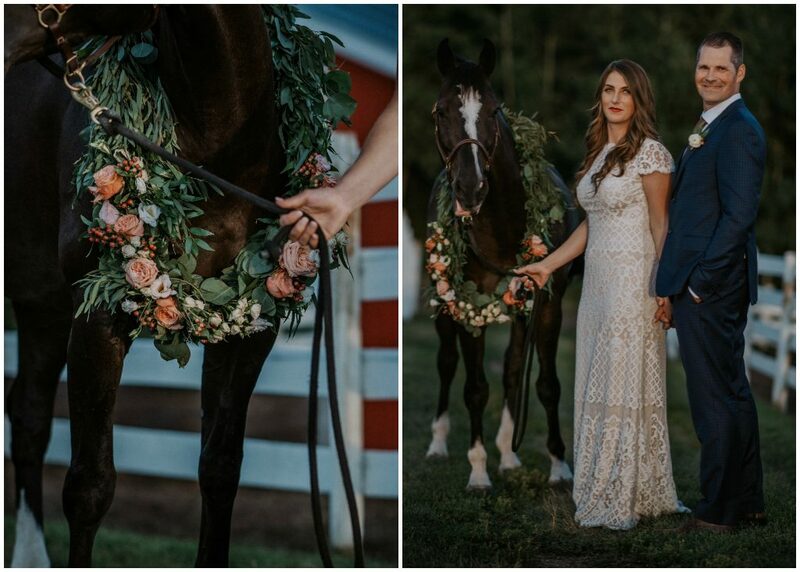 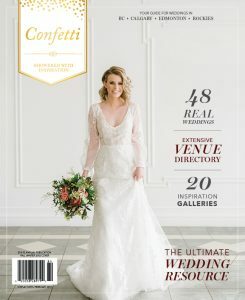 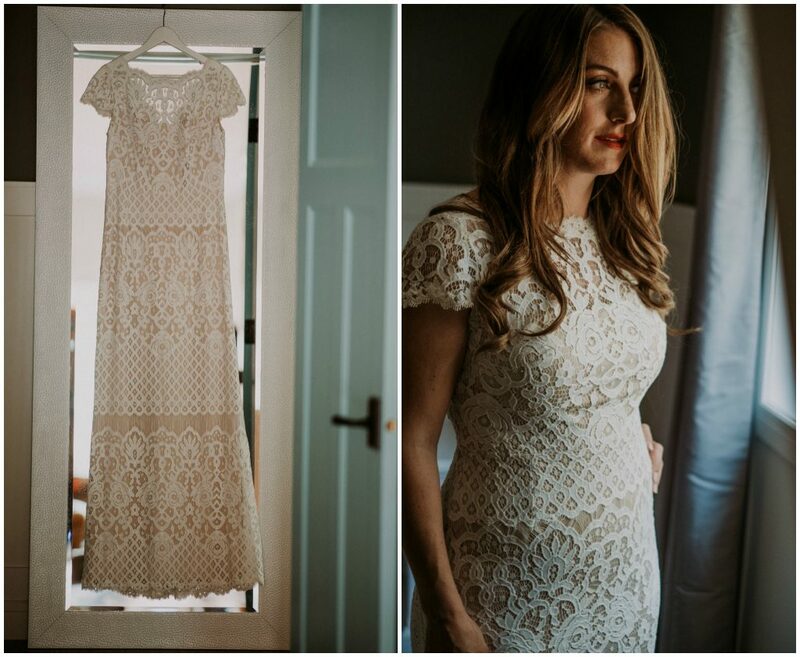 See more of this unique farm wedding in Dote Magazine Weddings (Volume 2).